The first Open Data Strategy was intended to run from 2015 to 2018, and whilst much of what was in the Strategy has been delivered, (including establishment of this very OpenDataNI portal), many of the goals and aspirations we had then have been slow to materialise. With that three year period now over, we have been presented with the opportunity to take stock and re-focus… but we couldn’t do that all by ourselves, and so we sought help and advice from public sector colleagues and the open data community at large. Our online consultation ran from mid-November up to the end of January, and many open data enthusiasts completed that for us – huge thanks to everyone who took the time to complete the survey. 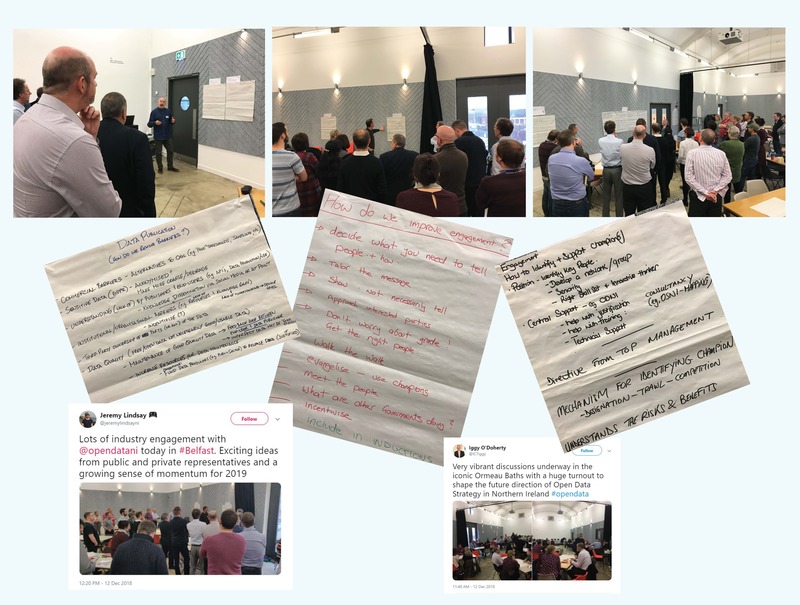 We ran our first review workshop at Ormeau Baths, Belfast on 12th December 2018, with 40 open data advocates in attendance. 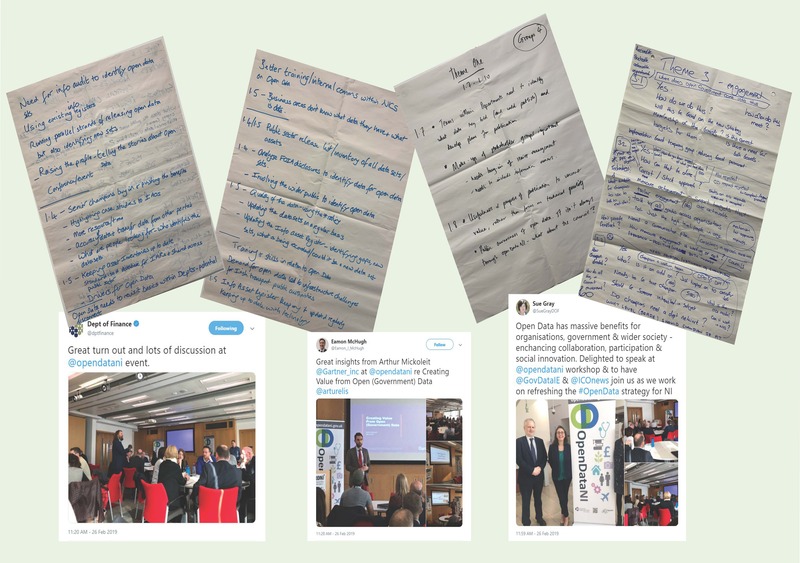 The thoughts expressed on the day (on a range of open data topics, such as Innovation, Data Publication, and Training/Support) formed the basis of our earliest draft plan for the new Strategy. Again, thanks to everyone who joined us on the day and gave us plenty to think about, in particular how to turn these ideas into deliverable goals. The online consultation and review workshop 1 gave us a much clearer idea of what should form the basis of Strategy 2.0. Not content with that, we fired up the open data ‘bat-signal' once more, getting the open data hive mind together again to run our draft strategy implementation plan past them, to ensure that the aims of Open Data in Northern Ireland will address the wants and needs of everyone with an interest in Open Data, whether that's for research, commerce, transparency, journalism, or any other re-use purpose. We held a second review workshop at the Public Record Office of Northern Ireland, Belfast on 26th February, and we were delighted to have over 60 workshoppers from across the open data spectrum (publishers and re-users of data) and representing Open Data interests locally as well as from across the wider UK & Ireland. Sue Gray, Permanent Secretary of the Department of Finance, addressed the event and made clear that open data is a key strand in the Northern Ireland Public Sector’s aim to increase awareness and transparency in government, whilst also helping to stimulate research, the economy and efficiency in government provision of services to the public. 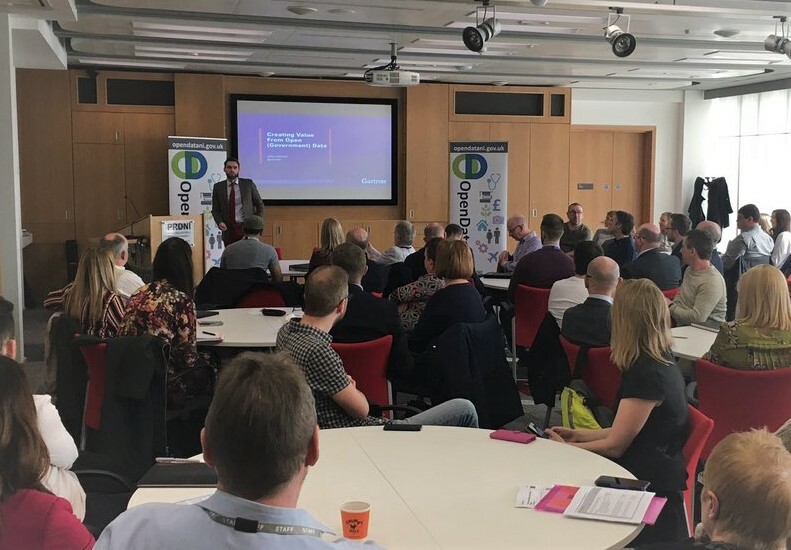 Attendees were also treated to a fascinating talk from Arthur Mickoleit, (Principal Research Analyst – Digital Government, Gartner), bringing his perspective on the future of Open Data by highlighting examples of best practice from across Europe. The feedback on our proposals that were generated on the day have been collated together with our other engagement input and will form the framework of the refreshed and enhanced Open Data Strategy for Northern Ireland, which we hope will be ready for release soon, so watch this space! We want to take this opportunity to say much we appreciate the many forms of feedback and input that we have received, from so many people, and from so many open data standpoints and requirements --- we’ve always thought that the open data community here in Northern Ireland are the best, and we’ve found out yet again how true that is --- Thanks to everyone who has taken the time and made the effort to help us with our work! 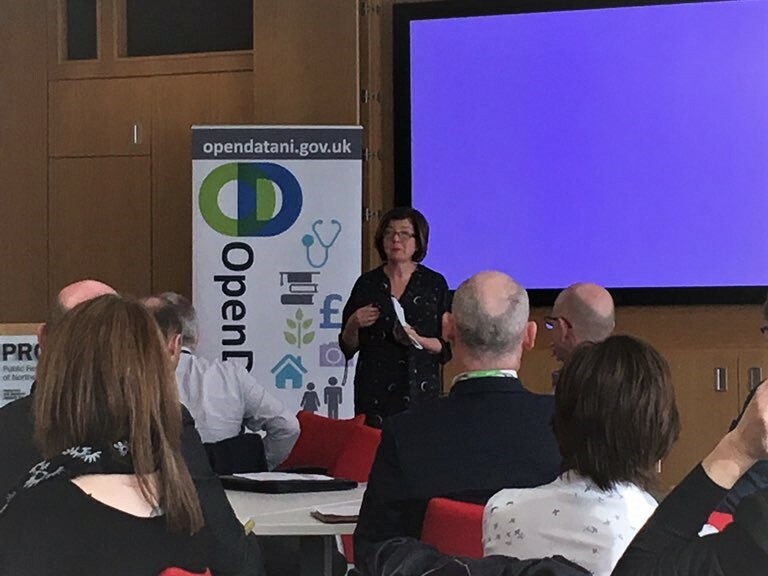 Following ODNI on Twitter is a great way to keep up with the very latest OpenDataNI news; we hope to soon be letting you know more about the new Open Data Strategy for Northern Ireland.